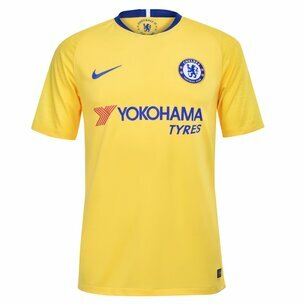 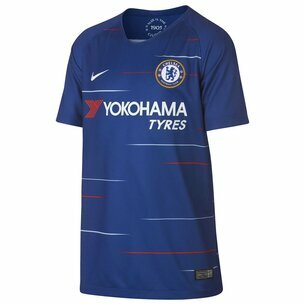 If you're fans of Hazard, Willian and the rest of the Stamford Bridge outfit, make sure you're pulling on this Chelsea FC 18/19 Home S/S Stadium Football Shirt throughout the season. 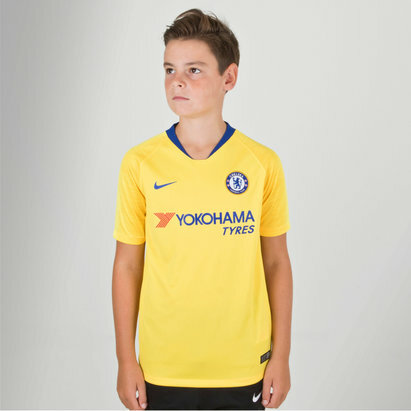 This replica shirt from Premier League outfit, Chelsea FC is perfect for pulling on in support of the team during the season or even during games of your own. 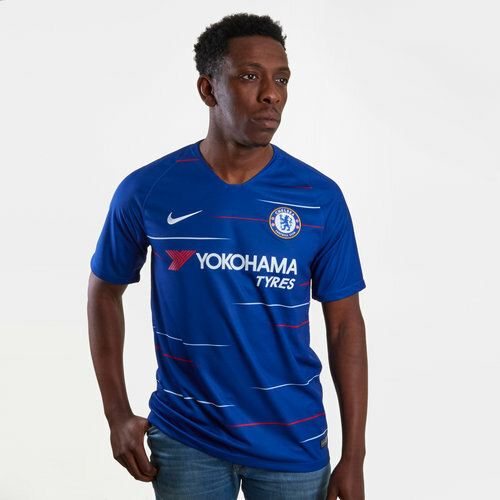 Made from 100% polyester, the Chelsea replica home shirt features Nike Dri-Fit technology within the fabric. 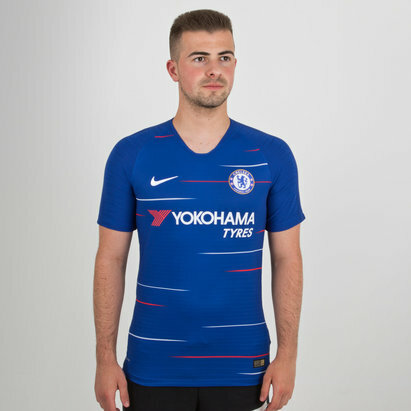 Designed to help manage body temperature, this keeps both players and fans cool, dry and refreshed by wicking sweat away from the skin. 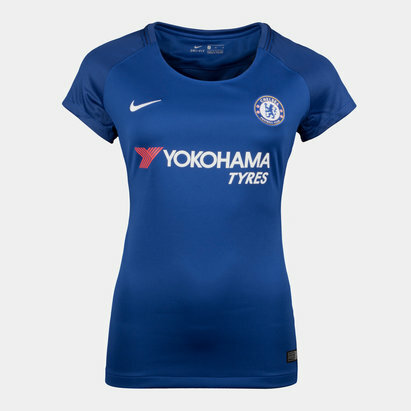 Strips of adaptive fit stretchy ventilated fabric down the sides of the shirt also assist in the cooling effect. 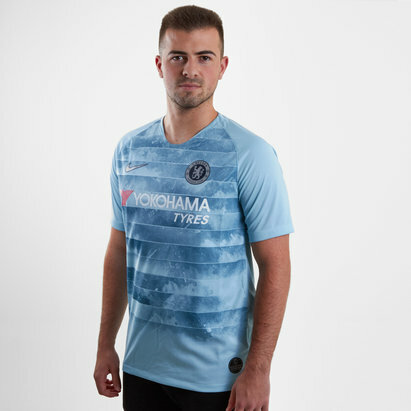 With all the famous CFC and Nike swoosh logos embroidered proudly upon the chest, this shirt is perfect for game day at the Bridge or for your own big games, pull on this Nike Chelsea FC 18/19 Home S/S Stadium Football Shirt.